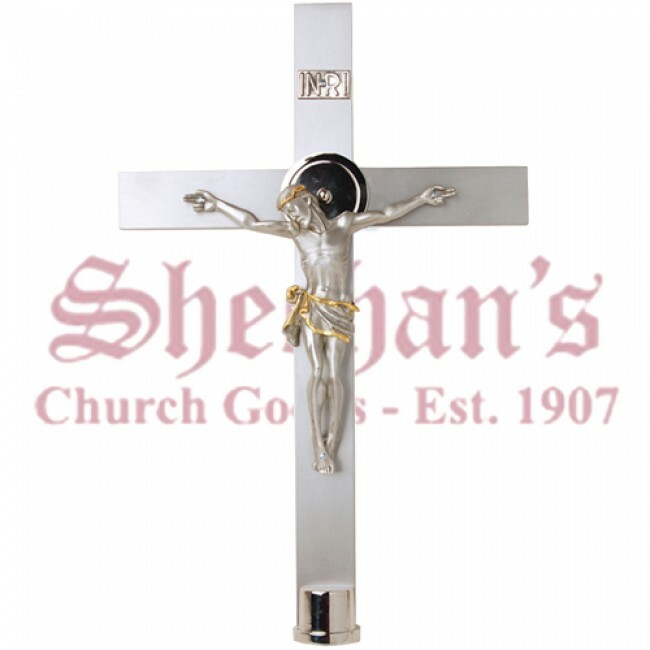 Magnificent stainless steel processional crucifix with 10" x 16" aluminum cross. Top section 44" with black delrin shaft. Base 10 ½" and height 72". Ideal for funeral liturgy. 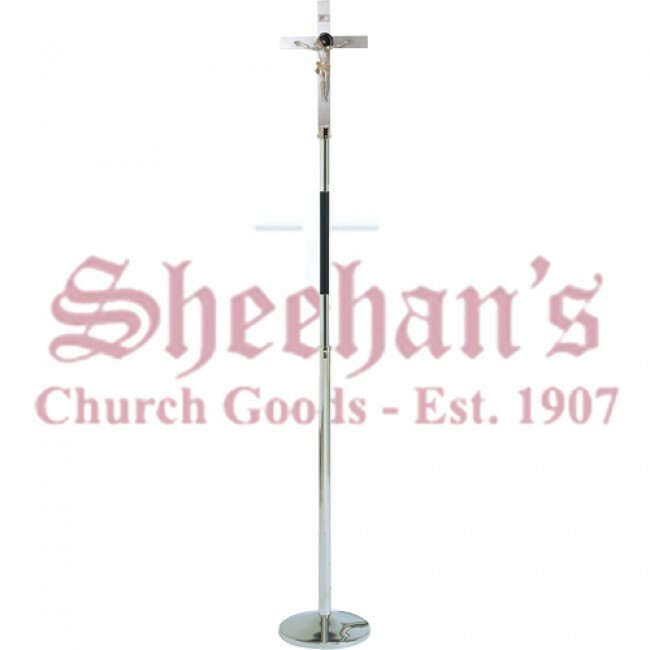 Also shown is optional matching Processional Torch. 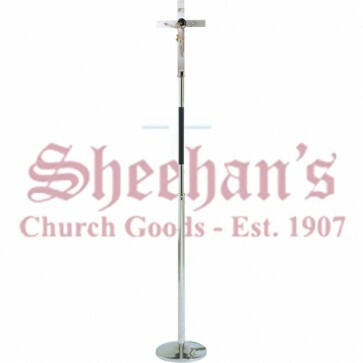 Measures 42" high with 10 ½" base.